With summer behind us, now is the time to travel or take a vacation if you are able to. Why? Chances are you’ll find more deals for both hotels and flights and fewer crowds, especially here in Virginia Beach. 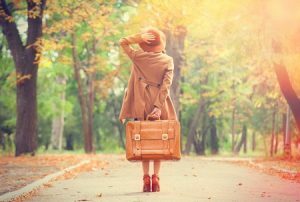 Don’t put your suitcase in storage quite yet; hang tight as we give you three reasons why you should travel this fall! Since many destinations are in a post-summer slump, you’ll end up saving a significant amount on airfare and lodging. When classes begin session, prices drop briefly before picking back up again during the holiday seasons, so traveling in the fall is a great idea. If you prefer less congestion and limited traffic, you’ll want to travel after Labor Day. You won’t have to make dinner reservations, wait in line or elbow your way through crowds of tourists. Not to mention, beaches will be virtually empty, so you’ll have a lot of room to spread out on a towel and enjoy the peace and quiet! Although swimming and boating in the hot summer sun is enjoyable, fall still offers several perks, one of them being comfortable weather. Not too hot and not too cold, you’ll be able to explore all you want in a comfortable climate. When you visit Virginia Beach this fall, don’t forget that we still offer fishing charters here at Dockside Seafood & Fishing Center! 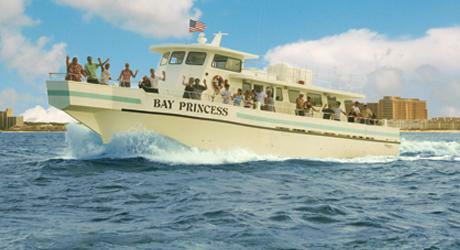 To make reservations or to ask any questions about any of our trips, please call 757-481-4545 today. We are looking forward to making memories with you on your fall vacation!